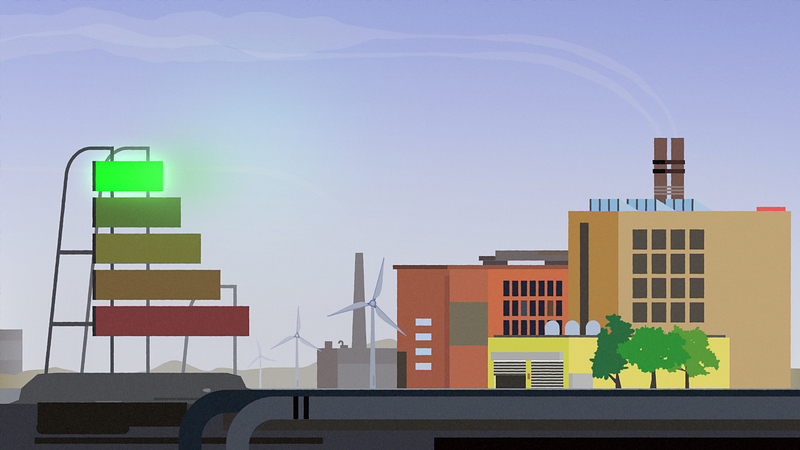 EaP Green, an environment-oriented organisation within the EU, commissioned this animation for use in live presentations. The animation gives a general overview of the context, objectives and achievements in a quest for a greener economy. This specific programme, titled “Greening Economies in the European Union’s Eastern Neighbourhood” focuses on six EU partnership countries: Armenia, Azerbaijan, Belarus, Georgia, Republic of Moldova and Ukraine. 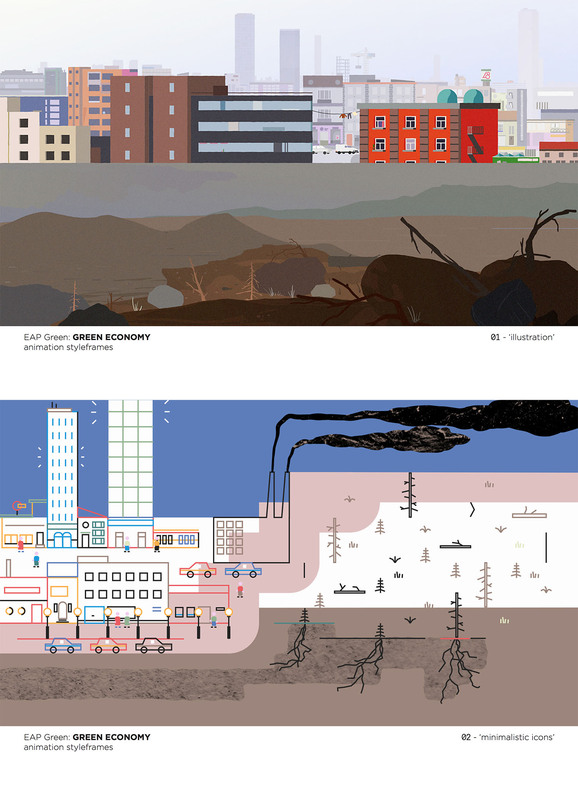 The animation focuses on overcoming the idea of “economy” and “ecology” as two separate entities. Instead it highlights the possibilities of merging them together into one coherent world. This is expressed most directly in the opening shot. Completed storyboards for the near final narrative, as delivered by our friends at Zoï, contained mostly figurative scenes (with a slight shift towards graphs and statistical data in the second half). This lead us to explore several visual styles reminiscent of mid-late 20th century picture-books. Out of several design proposals the most “realistic” style was chosen by the client: “01 illustration” in the included image. The urban landscapes are the main reference point: visual elements are built out of geometric shapes, yet manage to give an organic impression thanks to variation in their composition and in their colors. Grainy texture and loose jittery edges add another hint of the handmade feel of slightly worn out printed illustrations. While most scenes relied mainly on wide landscape shots, some human presence was required to breathe some life into the animated world. Time and budget restraints made full character animation impossible, so we modelled and rigged extremely simple 3D characters and applied readymade motion capture data. Since none of the characters needed to perform any specific actions, beyond simple walk cycles or other kinds of “ambient” motion, our selections from existing public mocap libraries were sufficient for this project. 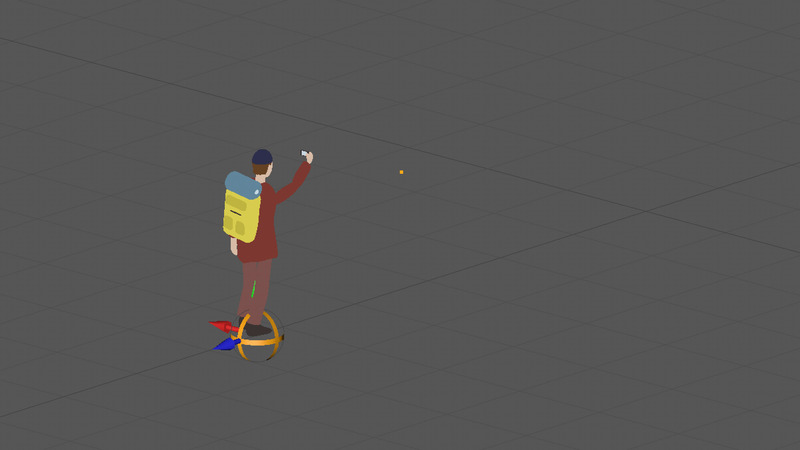 Flat color renders ensured the 3D models blended in nicely with the other graphics. 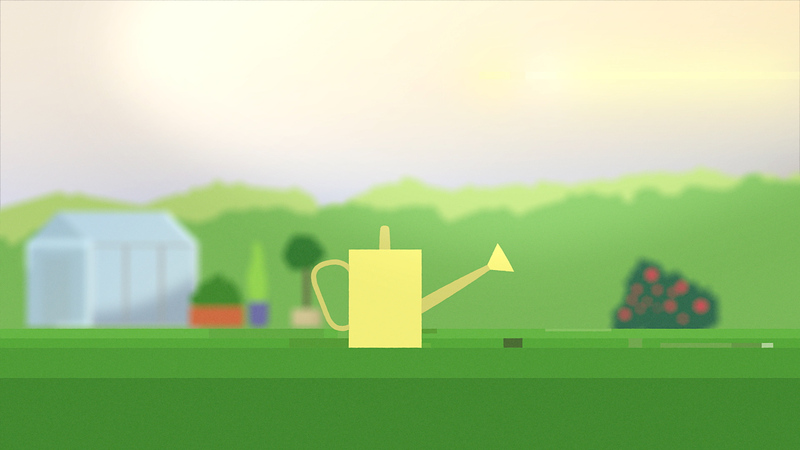 The animated explainer video was produced by Zoï Environment Network.